(1893-1962) Bert Topham (Toronto Centre) was a prominent observer of his day, and the first recipient of the Society's Chant Medal. BERTRAM J. TOPHAM (1893-1962) was the first winner of the Chant Medal. He was born in England and trained there as a machinist and electrician but emigrated early in his life. He spent five years as an artillery-man with the Canadian forces in France, 1914-19, and was awarded the DCM in 1916. A shell explosion rendered him almost completely deaf for the rest of his life. Though Bert Topham knew nothing of planets or astronomy at the time, he recalled standing in the trenches and watching a bright "star" moving week by week past fainter stars. He even anticipated its return the following winter. On returning to Toronto after the war, he obtained a copy of the Observer's Handbook and concluded that he had been watching Jupiter. This was the start of his fascination with astronomy. By the late 1930s he built a large observatory behind his home in what was then known as Fairbank, a suburb of Toronto. With his 16.5 cm refractor, he observed rather faint variable stars and was commended by Leon Campbell of the AAVSO for his very precise magnitude estimates. He also systematically searched for novae and comets. On moonlit nights he ground and polished telescope mirrors and welcomed visitors to his observatory. Word of mouth alone attracted thousands of people to his Castlefield Avenue home over the years. 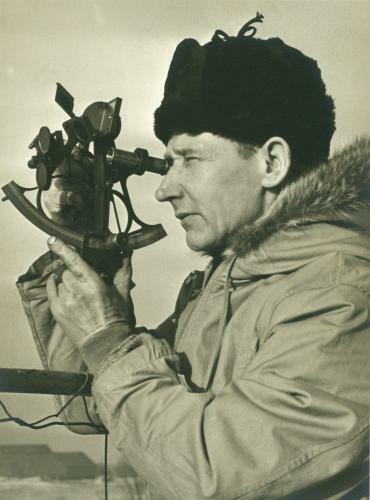 According to Dr. Gartlein of Cornell University, Topham was among the most assiduous auroral observers on the continent, and Dr. Millman praised him for his outstanding contributions to meteor research. Severe electrical burns sustained in 1945 sadly restricted his work thereafter. Bert Topham's name is perpetuated in an award for outstanding observers established by the Toronto Centre in 1984. This article details the founding of the Chant Medal and then presents the many reasons for awarding the first to Bert Topham (includes information on his observing activities and other astronomical endeavours) — WM. Displaying 5 - 8 of 35 items (page 2 of 9).